Probiotics can do wonders for your immune system and can enhance your overall digestive health. 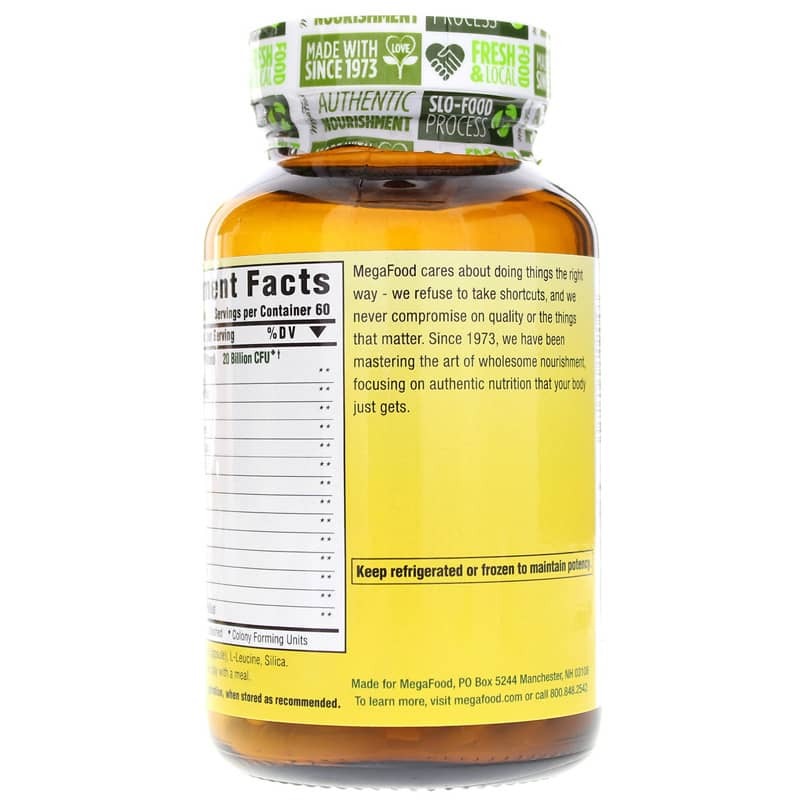 If you've been looking for a natural, non-GMO supplement, then MegaFood has exactly what you need. MegaFlora delivers what your body needs for enhanced immunity. Vegetarian? MegaFood has you covered. 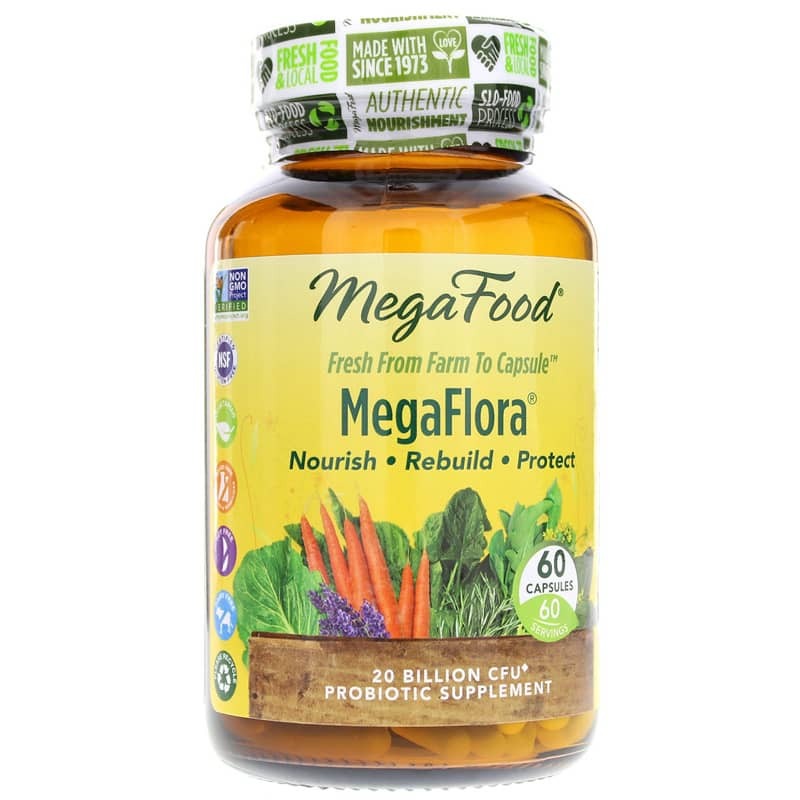 MegaFlor is a great probiotic choice for vegetarians, and is also certified to be gluten-free. 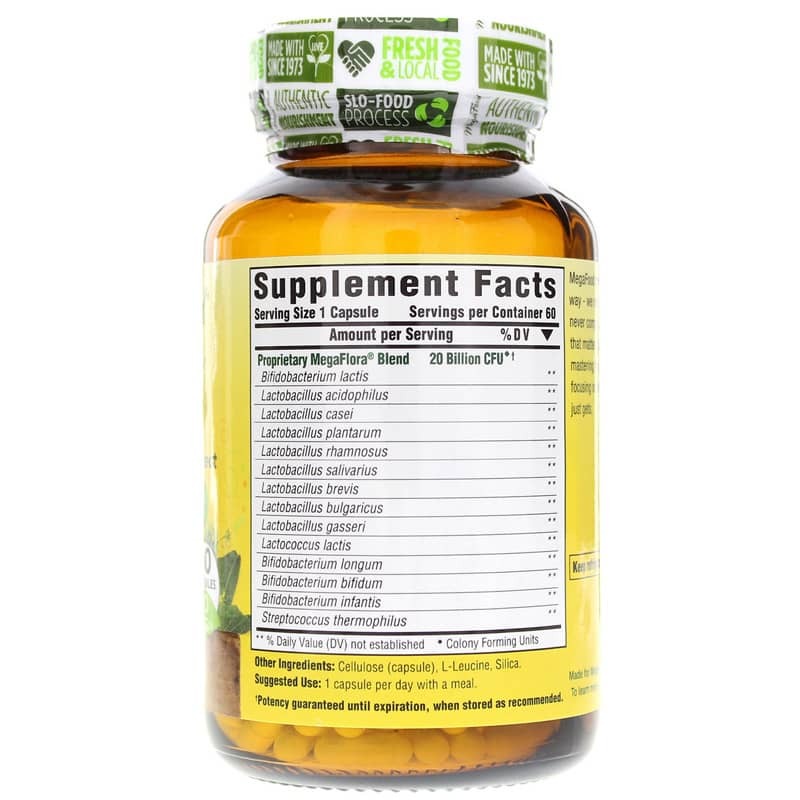 It's formulated with non-GMO ingredients and contains no soy or dairy. It's even been tested free of potentially harmful herbicides and pesticides! Make the choice for better digestive health. Let the active probiotics in MegaFlora from MegaFood be your pathway to optimal health today! Adults: 1 capsule per day with a meal. Keep refrigerated or frozen to maintain potency. We've taken MegaFlora for 18 years. The newer, fad, probiotics can't compete with the number of strains in MegaFlora. We even tried a couple of the newer products. They did nothing for us so we returned to MegaFlora. We really can tell a difference in how we feel with MegaFlora. I give this product 5 stars because after day 2 of taking 2 capsules my digestive track worked significantly better. My husband had the same reaction. I'm so glad I ordered since there was concern about the product staying cool during travel because potency could be compromised. We will be ordering again and telling others. Thank you!! MegaFlora is a great product. My husband and I are both so happy with this product. It arrived securely wrapped and was still chilled. We will continue to purchase! !